When it comes to Fall weather you never know what your gonna get... Today brought a mix of NE wind and waves, but we still had 2 Offshore boats venture offshore and bring back some nice Yellow-fin Tuna, Black-fin Tuna, and Mahi.. Way to go boys.!. !.Want to get in on the Tuna action? 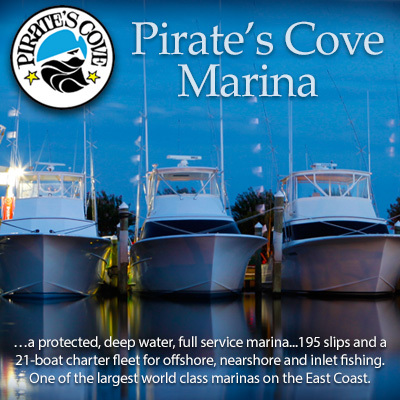 Come see us in the Ship’s Store, give us a call 252.473.3906 or visit us online at www.fishpiratescove.com to book your trip today! Christmas will be here before you know it, so don't forget to stop in, and check out out new winter inventory of Jackets, Sweatshirts, Long Sleeve Shirts, and more hurry in and get yours or click here and place your order online today. !.